Fasig-Tipton's July yearling sale marks the beginning of the yearling sale season in North America. 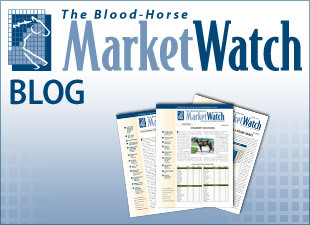 In the June issue of MarketWatch, we review the success of major yearling sales based on the racing performance of the yearlings they offered. The charts below illustrate the quality of yearlings offered based on the best level of race the yearlings offered from 2009-11 achieved. 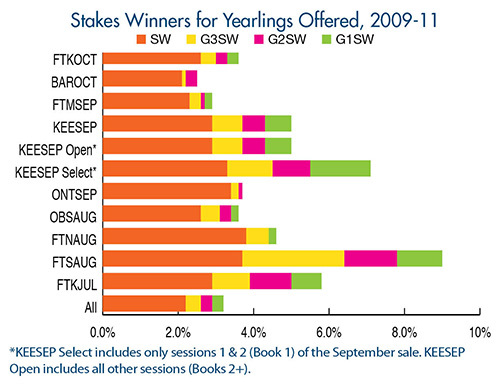 Yearling sales that grossed at least $3 million in 2013 were included; "All" includes all yearlings offered in North America from 2009-11. 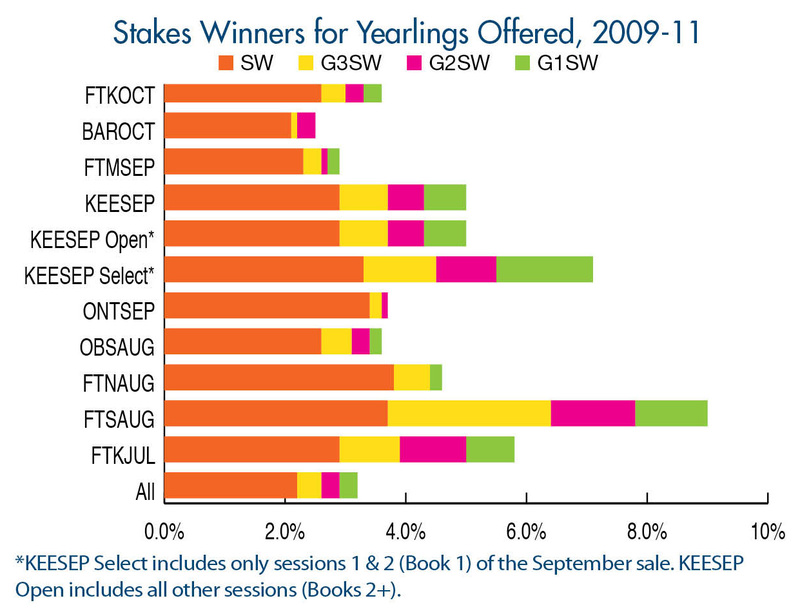 Not surprisingly, the select sales and the two select sessions at Keeneland September have the highest percentages of stakes winners from yearlings offered. Fasig-Tipton's Saratoga select sale had the highest percentage of both stakes winners (9.1%) and graded stakes winners (5.3%). 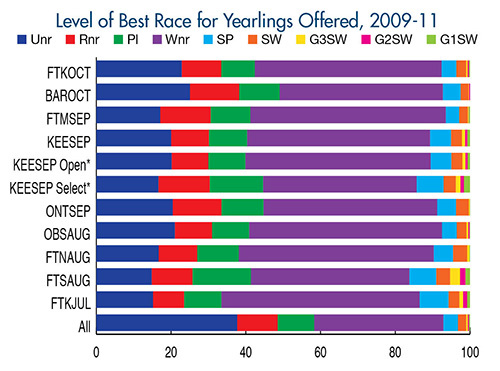 Keeneland September's select sessions, however, had the highest percentage of grade I winners with 1.6%.